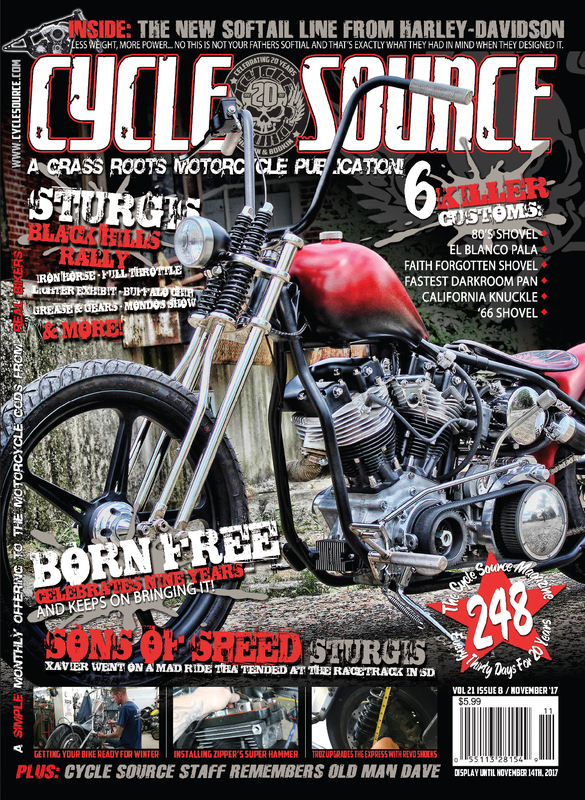 In This Issue Are 6 Killer Customs Including A Faith Forgotten Shovel, The Worlds Fastest Darkroom, A Cali Knuck, A Race Inspired 66 Shovel, And An 80's Shovel. As always it's loaded with killer tech articles and tips on how to get your bike ready for winter, How To Install A Zipper's Super Hammer, And Troz 's Experience With Legends Suspension. Brad tells us why the 77th Sturgis was the best week of his life, Twila Takes Us To Born Free and so much more.